Programming on Channel 13 in Falmouth, comes from members who produced more than 600 hours of first run local programs in 2016. FCTV's programming is also available streaming on the Internet. Virtually every aspect of Falmouth society is reflected on its channel, community issues and concerns, arts and entertainment, and local events. 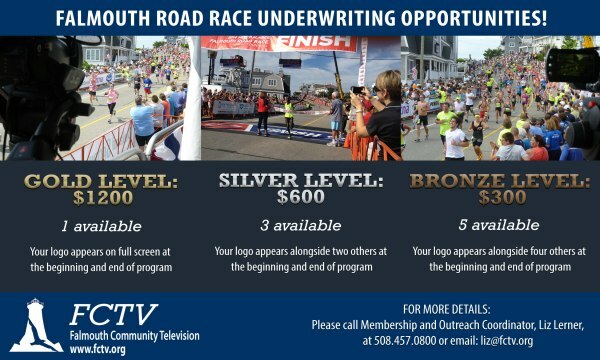 More... about Underwrite FCTV's Coverage of Falmouth Road Race! The Gallery on Main in downtown Falmouth is hosting an art show entitled Zoom In-Zoom Out: Young Naturalists on Cape Cod, featuring artwork and illustrated poems by Falmouth High School Students. Tyler George, an Olympic Gold Medalist in curling visited Falmouth recently to speak to students about his sport, and FCTV caught up with him at the Cape Cod Curling Club. The League of Women Voters and the Falmouth Public schools recently sponsored a program at the Falmouth Public Library to discuss the new Civics Education Law, which was designed to promote and enhance civic engagement in Massachusetts’ schools. 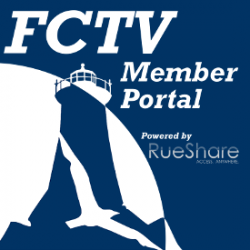 View even more FCTV Public programs here.